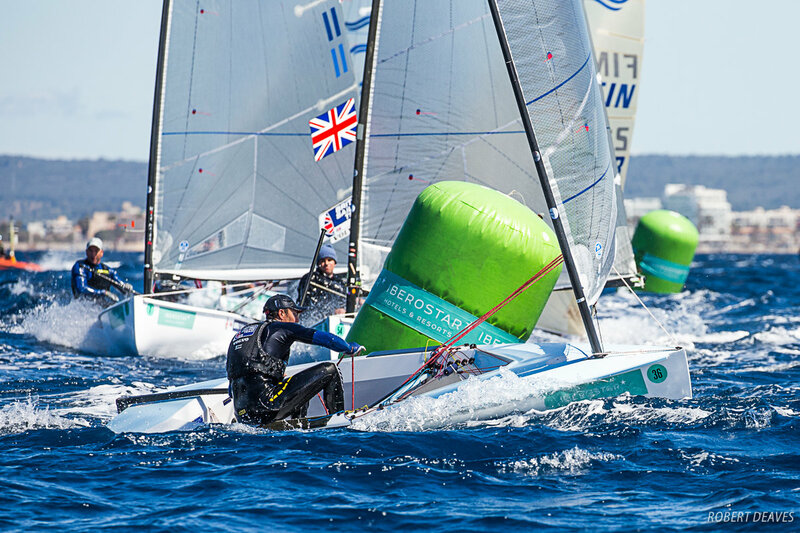 After the Kiwis had pretty much had things their own way so far this week, Olympic champion Giles Scott, from Britain, struck back on the breezier fourth day of the 50 Trofeo S.A.R Princesa Sofia IBEROSTAR in Palma, Mallorca with a 4, 2 to move up to second overall. Despite having his worst day so far, overall leader Andy Maloney, from New Zealand actually extended his lead to 11 points, while teammate Josh Junior drops one place to third, on equal points with Scott, with just two more races to sail before Saturday’s medal race. It was a very different day on the water than the past three days with a stiff, and cold, 15-20 knot westerly in place. Coming off the western shore of the Bay of Palma it was full of shifts and brought a steep chop downwind to give the fleet a new set of conditions with which to contend. 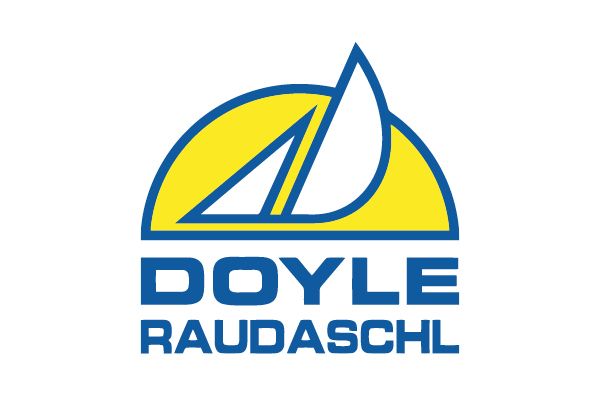 European Champion, Ed Wright, from Britain, took the win in Race 7, followed by a fifth in the next to move up to eighth overall, but still 30 points off the podium. Race 8 was dominated by the world champion, Zsombor Berecz, from Hungary, after picking the correct side of the course and leading the fleet throughout. Despite a 15th in the first race of the day, this moves him up to fifth overall and just 13 points off the podium. 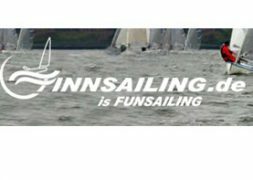 In the silver fleet the first race went to Finn class rookie, Luwen Shen, from China, while the second went to Irish hopeful Oisin Mcclelland, clearly enjoying the bigger conditions with his best performance of the week. Wright has been chasing his Olympic dream for 14 years in the Finn and is arguably sailing as well as he has ever done. Wright posted 6 points to the scorecard today, the same as Scott and Piotr Kula from Poland. Racing in the opening series in Palma concludes on Friday with two more races scheduled to complete the ten race series ahead of medal race for the top 10 on Saturday.